Hundreds of French sailors blocked access to the city of Calais, France this morning in a strike action aimed at the purchase of a ferry company by a Danish rival. The protesters used burning tyres to prevent access to the area around the port. The ferry route from Dover in England to Calais is one of the busiest in Europe, and the protests come in the middle of the peak holiday travel period. Roughly 300 workers from the French company SeaFrance are protesting against plans to sell two MyFerryLink ferries to DFDS – a move expected to result in hundreds of job losses. DFDS has purchased the two ferries from the company Eurotunnel for an undisclosed amount. For several years, services crossing the English Channel have been the centre of a dispute. Eurotunnel, which operates the Channel Tunnel, bought the ferries from the bankrupt SeaFrance and put them on the route between England and France where they were operated by its company MyFerryLink. 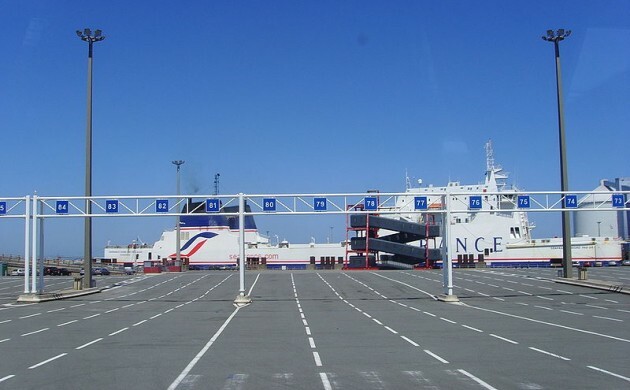 However, due to a protracted conflict, Eurotunnel was forced to sell the ferries to its competitor DFDS, rather than back to their partner SeaFrance. Eurotunnel would rather have sold the ferries to SeaFrance, but the offer was not good enough. “We regret that SeaFrance has not had the support it needed to be able to present a takeover proposal,” Eurotunnel said in a press release. Earlier this month, striking ferry workers blocked Calais for three consecutive days, wreaking havoc and causing huge transport huge delays. Calais is also the scene of a battle between police and hundreds of migrants trying to get into Britain via the Channel Tunnel linking the two countries.